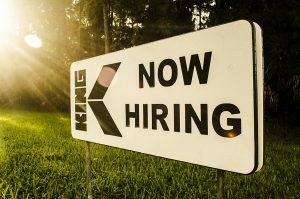 North Port, FL – March 23, 2018 – King Plastic Corporation, a leading manufacturer of quality polymer sheets, slabs and massive shapes announces it’s creating multiple positions in the manufacturing plant and warehouse in North Port, FL. Founded in 1968, King Plastic Corporation is a leading manufacturer of quality polymer sheets, slabs and massive shapes—including several products pioneered by the company. Its polymers are sold worldwide through a network of top plastics distributors to customers who fabricate products for the marine industry (King StarBoard® brand), signage, foodservice, healthcare, architectural, industrial and other markets. The company headquarters is a 250,000 sq. ft. manufacturing facility in North Port, Florida.